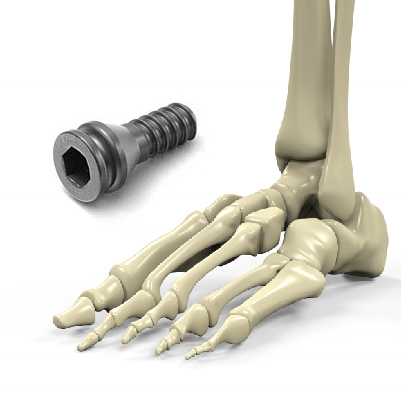 At Fixing Feet Institute, we offer several state-of-the-art foot and ankle treatments to help our patients. One of these advanced treatments is HyProCure, and if you have foot pain caused by fallen arches or flat feet, this could be your best chance to eliminate foot pain without the need for an invasive, traditional surgery. Every day in our office, we hear stories from people who are dealing with some kind of painful foot condition—heel pain, bunions, tendonitis, etc. Most people aren’t aware, though, that these are typically secondary issues—symptoms rather than causes. The real problem, and source of those issues, is often feet that are misaligned or flat and unable to distribute physical forces in a normal manner. Treating the secondary problem alone can be a bit like re-inflating a tire without fixing the leak – you might be able to drive a couple of miles, but you’re just going to end up with a flat tire again. What do we mean by “misaligned” in the context of your feet? In many cases, this means the ankle joint has slipped out of place, even slightly, relative to the heel bone. It really doesn’t take too much of a slip before you may start developing major problems, and a misaligned foot can throw your entire body out of balance. This results not only in foot pain, but also issues that can extend into your upper body, running up from your knees to your hips and back. The HyProCure is a titanium stent, the approximate size and shape of a small screw. It may not look like much, but this little device has helped tens of thousands of individuals overcome constant and even debilitating pain. In the procedure, the HyProCure stent is inserted into a naturally-occurring space between the ankle and heel. Thanks to the unique titanium threading, the soft tissues in your foot quickly adhere to the stent naturally, with no screws or plates necessary. Once in place, the device instantly realigns and stabilizes your hindfoot, moving your foot, ankle, hips, and knees back into proper alignment. Your weight is rebalanced into a natural configuration, decreasing pressure on sensitive joints and putting very little pressure on the stent itself. You will also find improved range of motion in your ankle, and may even notice your arch return to a more normal shape. Traditional surgery used to correct adult-acquired flatfoot or realign an ankle often requires large incisions, plates or screws, and a long recovery period. Depending on the procedure, bones, ligaments, and tendons may need to be cut, transferred, or realigned during the procedure. Although surgery is normally quite successful and the end result is a healthy foot, it is still a major procedure which can keep you off your feet for an extended period of time. By contrast, the process to apply the HyProCure stent is a minimally-invasive procedure that only needs a small incision. The stent is positioned in soft tissues inside a naturally-occurring gap. That means no bones or tendons need to be cut or fused, and screws and plates are not required. This yields a much quicker recovery time for you. No longer need crutches after only 3-5 days. Experience significant improvement in walking ability after 10 days. Can resume most activities after just 4-6 weeks with only minimal soreness. Of course, the more you are able to stay off your feet and rest, the quicker your recovery will be. If you’re suffering from any kind of foot pain, and especially if you’ve noticed a progressive flattening in your arches over time, you could be a candidate for this procedure. We are pleased to offer this advanced treatment option, so contact our Surprise, Arizona office today for more information and to find out if HyProCure might be right for you. Call Fixing Feet Institute at (623) 584-5556 or contact us online and we can discuss your treatment options.